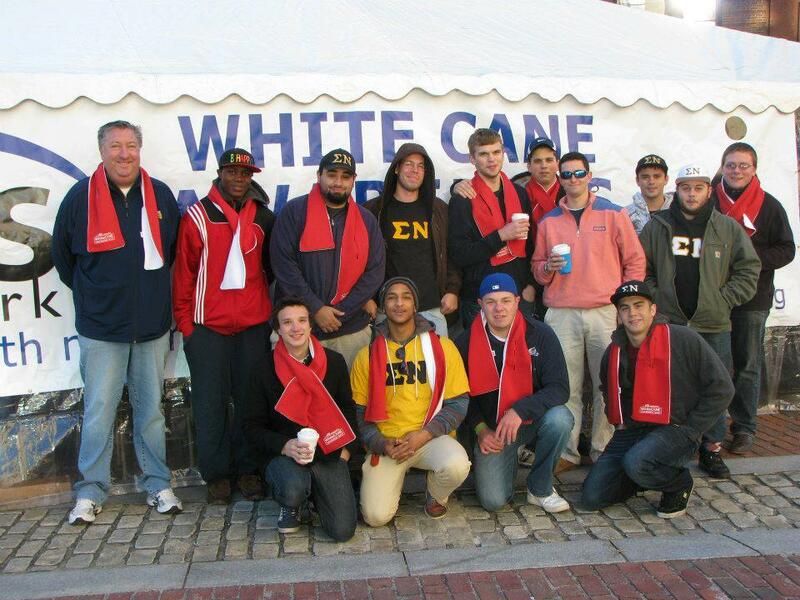 Bruce Roullard (on left) with brothers of the Iota Nu Chapter at a philanthropy outing in the spring of 2013. The work of several Sigma Nu brothers of Iota Nu Chapter (Southern Maine) was recently featured in the Lions Club International’s magazine, The Lion Magazine. The article chronicles the resurgence of the Portland Lions Club led by Bruce Roullard (Southern Maine), the president of the club from 2004-2013. Roullard led a recruitment initiative through the University of Southern Maine that produced new members for the club, which had been dwindling in size for many years. Roullard noted that since recruiting new members, the club’s average age had dropped from 70 to 40. Among some of the clubs’ newest members are Brothers Tyler Boothby, Nate Cadorette, and Tyler Jenkins (Southern Maine). The three Sigma Nu brothers have been quick to take leadership roles with Boothby serving as chapter president – the youngest president of any Lions Club in the state of Maine. In addition to Roullard, Vice Regent Duane Dreger (MIT) is also a member of the Portland Lions Club. The Portland Lions Club is the oldest in the state and the oldest north of Boston. The Lions Club is the largest community service organization in the world with its magazine translated in 20 different languages. The full article is included in the July/August issue of The Lion Magazine.